Late Dada Govind L Chandiramani www.Chandiramani.com Founder of Base version of Romanized Sindhi Script He was among the chief delegates who actively took part at the Summit conference at Ahmedabad on 28-29 March 2010 which was successful. Late Dada was an Honorary “Life” member of the Founding Committee. 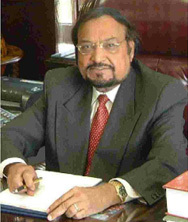 He was the chief force who prompted Arjan Daswani in the year 2006 to take on the mantle from Dada to achieve an accepted version of Standardized Romanized Sindhi Script for use of Global Sindhi community which Arjan successfully completed in the year 2010 at a Summit Conference, to late Dada’s satisfaction. Late Dada also had dream of putting 10,000 worded English to Romanized Sindhi Dictionary with audio support, which Arjan successfully completed in 2013. It was funded by donations from well wishers of Sindhi language. 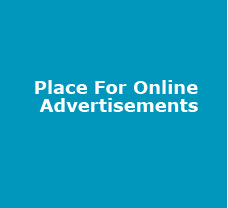 It can be seen at www.Romanized Sindhi.Org/ . Sadly dada left us for his heavenly above on 26 December 2011. May God keep his soul in Eternal Peace. Late Mr Kishore Lala Ex of La California. 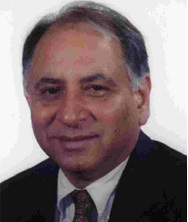 He was an official of Sindhi Association of Southern California and also Vice President of Alliance of Sindhi Associations of Americas, Inc (ASAA now known as AGSA or Alliance of Global Sindhi Associations, Inc.) In early 2006, at the recommendation of a mutual friend Mr Mohan Dadlani, also an official of Sindhi Association of southern California, late Mr Kishore Lala came together with Mr Prem Lalvani, ASAA Chairman, to see Arjan Daswani at Singapore and after discussions, Arjan had agreed to serve as an Honorary Co-ordinator on ASAA’s proposed International Sindhi Sammelan Singapore July 2007. Later in the same year late Dada Govind L Chandiramani of Mumbai approached Arjan Daswani requesting him to put his version of Romanized Sindhi Script to the delegates visiting the said Sammelan, to get their general approval or the feedback. Arjan called late Mr Kishore Lala over phone to seek opinion and consent. Late Mr Kishore not only consented on same but also assured Arjan of ASAA’s support on the presentation. In early 2007 late Mr Kishore Lala and Mr Prem Lalvani came again to Singapore to inspect the progress made on the preparation of the said Sammelan. But sadly Mr Kishore Lala left for his heavenly abode few days before and could not attend the said Sammelan, where he was missed very much. He had sent his pre-written speech over email which was read out from the stage by ASAA’s the then President Mrs Vimla Tewani. May God keep his soul in Eternal peace! He was among the chief delegates who actively took part at the Summit conference at Ahmedabad on 28-29 March 2010 which was successful. He is Life member of the Founding Committee of project of Romanized Sindhi. He was the chief force that led to achieving approved version of Romanized Sindhi Script for Global Sindhi use and creation of this Online Virtual School of learning and teaching of basic Sindhi language. He was also the chief force of fulfilling the dream of late Dada Chandiramani and organized the creation of 10000 English words Dictionary translated into approved version of Romanized Sindhi and got audios made and putting up the Dictionary on to this site in the year 2013. He continues to manage this project in consultation and assistance of his colleagues on Romanized Sindhi committee. 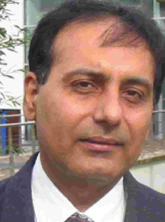 Prof. Dr Devendra Kodwani, UK. Col (Ret’d) Ram Gulrajani, Chennai. He was the spokesman on behalf of Romanized Sindhi Founding Committee of four, during Summit conference proceedings at Ahmedabad 28-29 March 2010. He was and continues to serve this project as a Consultant and Adviser on the project. working full time as Sindhi Language Senior Teacher at Jai Hind College Mumbai. 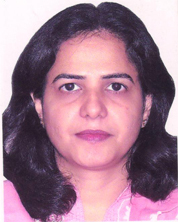 She has been Romanized Sindhi committee member since January 2012 and served on this Committee has Hon. volunteer. He is the Chief who edits the Romanized Sindhi spelling in the Sindhi meaning in the Dictionary uploaded on this website. Promote Sindhi language by organizing Workshops based on audio-supported Tutorials uploaded on this website. She is hard working lady. 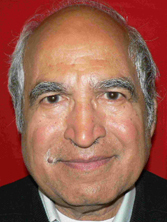 Dr. Vijay G Bhatia PhD. Works full time at PA USA. He was co-opted to Romanized Sindhi Committee in the year 2012 as an Honorary helper chiefly technical side. 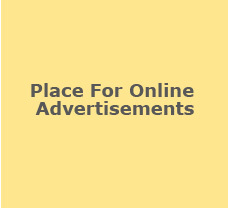 Very diligent helper and serves the project in many fields. He edited the Dictionary before it was put up on site. He is an always ready to help. 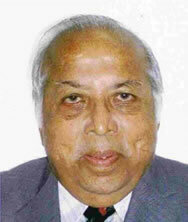 He is retired Engineer and helps on this project independently as and when possible. He is dedicated promote Sindhi language and Sindhi cultural events. 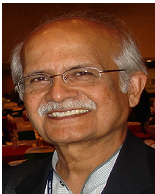 He conducts Sindhi learning classes at Bay area on Community level term to term basis. 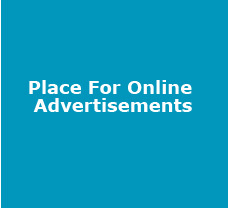 He also conducts Workshops for promotion of Sindhi language through this site at varies places around the world. He has published few books in approved version of Romanized Sindhi script. After late Mr Kishore Lala left us for his Heavenly abode Prem continued to support the project. When Prof. Baldev Matlani of Mumbai suggested Arjan that we should have Summit conference of Professors and Linguists of Sindhi Language of India, Prem readily agreed and the Summit conference was organized through the help of Dr Devendra Kodwani, respectively Dada Lakhmi Khilnani. Prem Co-chaired the Summit conference which was successful and approved version of Romanized Sindhi Script for Global Sindhi use was achieved. 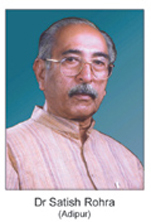 When late Dada Govind Chandiramani requested Arjan to help get approval and feedback on Romanized Sindhi script at LA Sindhi Sammelan 2009, he readily helped and moved a resolution prepared by Arjan at his advice, which was successfully voted in favour by a large majority of delegates who attended the LA Sindhi Sammelan 2009. He also chaired at Summit conference of Sindhi language professors and linguists’ at Ahmedabad in March 2010 which was successful too. He thus helped achieve accepted version of Romanized Sindhi script. He has always been of great help, holding donations which were organized by Arjan Daswani for the project of Romanized Sindhi and expending money asked for by Arjan for payment for expense on Romanized Sindhi project. He helped organize a temporary website for Romanized Sindhi till this site came up on 31 Des 2010 and which was organized by Arjan through donations by well wishers of Sindhi language. Nand has generally been helpful at all times. 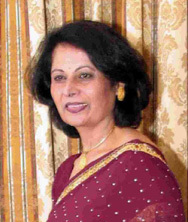 Mrs. Kamal Lala La CA. He assisted Romanized Sindhi, by acting as Chairman Romanized Sindhi Sub-Committee that was specially formed to move a Resolution on Romanized Sindhi to the world wide Sindhi delegates who came to Sindhi Sammelan LA-2009. The resolution was prepared by Arjan Daswani and moved by Dr Dayal Meshri assisted by Mr Mohan Dadlani and the result was very successful, the Romanized Sindhi version of Script, as submitted, was approved by an overwhelming majority of the delegates present. Romanized Sindhi Committee is grateful to Mr Mohan Dadlani for his help. A prominent scholar of Sindhi language and critical literature and a Founding Trustee of Indian Institute of Sindhology Adipur Kutchh. 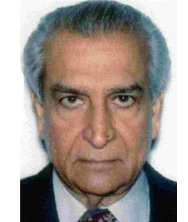 He was active adviser on the formation of the Romanized Sindhi script and was among the chief delegates who actively took part at the Summit conference at Ahmedabad on 28-29 March 2010 which was successful. 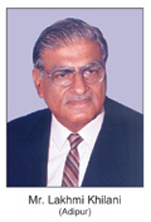 Dr. Satish Rohra has been of significant importance to the project of Romanized Sindhi for which Romanized Sindhi Committee is grateful. 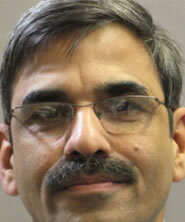 Director, Indian Institute of Sindhology, Adipur Kutch, India. At the request of Prof Dr. Devendra Kodwani of UK, who is Technical Co-ordinator on the project of Romanized Sindhi, Dada Lakhmi made arrangement for Summit Conference of Sindhi language Professors and Linguists of India, which was successfully held at Sindhu Bhavan, Ahmadabad, India, on 28-29 March 2010. It was at that conference, where Standardized version of Romanized Sindhi script was approved, adopted and recommended for Global Sindhis use, by all delegates present, unanimously. This made opening of the door for learning reading, writing and speaking of Sindhi language in Romanized Sindhi Script. 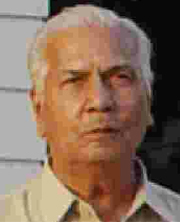 Dada Lakhmi also helped on late Dada Govind L Chandiramani’s 10,000 worded English to Sindhi Dictionary, on which his staff member Mrs Rajni Valecha typed the words that were given by Chandiramani, which were translated into Sindhi and she typed in Excel format over the computer. Dr Matlani was introduced to Arjan Daswani by a mutual friend late Dada Shyam Gianchandani of New Jersey USA. Dr.Matlani gave large support to Arjan in advising on the Romanized Sindhi Script which was given by late Dada Govind L Chandirmani of Mumbai. 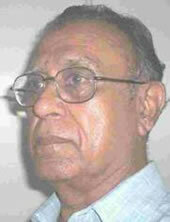 When presentation of Dada Chandiramani was made at Singapore Sindhi Sammelan 2007, the survey showed that Dada Chandiramani’s version of Romanized Sindhi Script needed some changes. Dr. Matlani and Prof Dr Satish Rohra gave great help to Founding Life Member Romanized Sindhi Committee of four. Script version was improved and it was re-presented at LA Sindhi Sammelan 2009 with the help of Dr Dayal Meshri where he script presented was approved by overwhelming majority of the delegates present. It was Dr Matlani who advised Arjan that for getting broader acceptance and approval of the version of Script, Arjan should organize a Summit conference of Sindhi language Professors and linguists of India. Prof Dr Devendra Kodwani took that mantle. 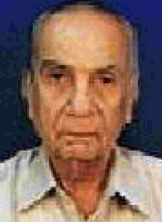 Dr. Matlani gave Arjan Daswani names and contacts of Sindhi language specialists to whom all Arjan made approach over phone or personally at India. Several Sindhi language specialists gathered at the Summit conference organized at Sindhu Bhavan, Ahmadabad, India where after discussing and deliberation on the Script for the whole day of 28 March 2010, the version of Romanized Sindhi, with slight changes made, was finally approved, adopted and recommended for global Sindhi use unanimously by all delegates present. Dr Matlani’s role has been of significant importance on the project of Romanized Sindhi for which Romanized Sindhi Committee is grateful. Ph.D Linguistics, Ret'd. Head of Sindhi Studies New Delhi. 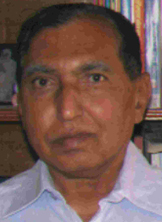 MA Hindi MA Linguistics Sahitya Ratna (Hindi, Sindhi, Sanskrit) Ph.D. Linguistics Formerly of Deccan College, Pune. Studies New Delhi.